Ahh, pregnancy. The miracle of life. It’s just such a magical time. The constant trips to the bathroom, endless doctor appointments (especially if you’re high risk), body aches, inappropriate questions from strangers, and of course, preparing for that new baby that’ll be all yours. But, then your little nugget arrives – and you’ve got this adorable, tiny, squirming little human whose only method of communicating their needs is crying. That’s when the real fun begins. So, let me help make the transition a little smoother by giving you a crash course on the best books, videos, registries, and what to pack in your hospital bag. Read up buttercup 😉 You’re preparing for the most important role you’ll ever have and you’ll want some tools in your toolkit when your precious little snowflake is here. This book is a must read for a couple of reasons. First, it’s extremely informative and helpful, but doesn’t overwhelm you with a ton of research and jargon. The tone is very conversational and flows well. That’s why everyone can read this book. I buy this for every pregnant person I know, regardless of their education or experience with children, and they love this book. Second, this book commands thousands of perfect reviews everywhere because he tackles one of the most important concerns of parents – how to soothe your baby. His groundbreaking theory of the 4th Trimester will have you rethinking those first three months with your newborn. And, he shares why your baby could be crying and equips you to confidently soothe them with specific steps to turn on their calming reflex. Seriously, it won’t take long to read it, but you’ll be grateful for it every day your new baby is here. Tracy Hogg was one of the foremost baby and child experts and has written extensively about baby and toddler care. This particular book is my favorite (although all of her books are excellent), because it’s sort of a “pick your poison” kind of book. What I mean is you won’t likely read through it start to finish. You’ll read the first little bit and then set it on your shelf. You’ll pick it up every time you start a new phase or encounter a new struggle: Learning your child’s unique temperament? Check. 4 month sleep regression? Check. Starting baby on purees? Check. I was particularly impressed with her explanation of learning your child’s unique temperament and then explains how to best parent them based on that! Once you start looking at each of your children in this way – as being born with their own personality and temperament, and making small changes to how you roll with each of their rhythms, they will be so much happier – and that will make YOU so much happier. This is different from other books that might teach you one way to do things – as if all newborn babies want and need the exact same sleep schedule, or soothing methods, etc. This small change in perspective equals big payoffs for all of you. My only note would be that her pick-up/put-down sleep method was not a fit for me. This book is a classic and for good reason. Also, another one you won’t read cover to cover right away. You’ll pick through this throughout your pregnancy, because basically anything you can think or wonder or go through will be covered in this book. I will say that I think the coverage on pregnancy weight gain is too strict. You should really only be discussing this with your doctor. Every person and pregnancy is different and your doctor will know what is the best weight gain for you and your baby. Don’t forget to read up on that first year, too! I always think of that scene from “Friends”, when Rachel is at her baby shower and doesn’t know how to use any of the baby gifts. It’s not a good feeling to be an all-star at pregnancy and then know nothing once le bebe is here. 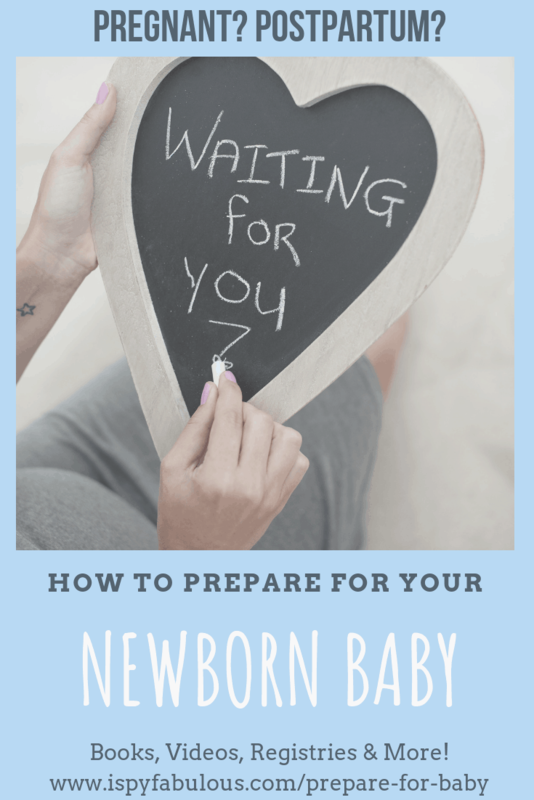 So, read ahead on some of the basics for the first few months and make sure you’ve learned how to use all of your new baby gear beforehand. The last thing you want to do is to be trying to put things together or learn how to use them when your baby is screaming. Don’t forget to laugh throughout this whole crazy journey. Jenny writes this book like she’s your best girlfriend sharing all the deets – the good, the bad, the ugly. She talks about the things that nobody wants to tell you, not because they want you to go through it alone, but because it’s embarrassing and they are probably trying to forget that it happened to them, lol. This is that “big sister tell-all” book we all need and will entertain you the whole way through. Who doesn’t love a good movie night? And, when you can combine it with some serious learning – it’s a win win. So, work these into your rotation. They will not only be educational, but also therapeutic to watch someone going through what you are. There are 2 seasons of this show and I would say you’ll love them both. I don’t know why it got such terrible reviews. Rosie Pope is a maternity concierge in New York. She teaches baby care classes and also works one-on-one to help teach and prepare couples for their newborn baby. So, not only will you pick up on all sorts of tips on everything from how to dress your bump to how to prep your nursery, but you’ll also get a kick out of these hilarious people becoming parents on the Upper East Side. She also wrote a book, which is a fun, easy read. It’s a great option for a new mom who has very little experience with babies and children – or gets overwhelmed with the huge, textbook style books. I think I found it on Netflix. Regardless, this has become sort of a cult favorite in the pregnancy world. It’s highly informative about the history of childbirth and how our medical care has handled birth over the decades. It also has some rather upsetting statistics and images that could be scary and create anxiety. For many women, this video will inspire you to want a home birth with no interventions. While it is really empowering and exciting to see this movie – you have to take a lot of it with a grain of salt. I needed medically necessary c-sections for both of my births, and I am 100% okay with it. No issues. No guilt. I got my babies out. They’re healthy; I’m healthy. What else do you want, really? But, for women who do have really firm, strong feelings on having a natural birth – this video may make it harder for you to accept if a change of plans happens or you end up wheeled into an O.R. I love this movie. It chronicles four women and their very different paths to pregnancy and birth. You’ll see yourself in at least one of them. I still watch this, even though I’m not pregnant, and I still cry every time during a certain scene. But, gosh, it sure is therapeutic to see a movie about pregnancy and birth that includes many of the realities. This one probably goes without saying. Not only is this one just sheer entertainment, but also, there’s some things to learn through Rachel’s pregnancy journey. The show does document Phoebe’s surrogacy and Monica’s infertility journey and adoption story, so you can pick the season that fits where you’re at and enjoy some laughs along the way. Who doesn’t love this show? Plus, watching Pam and Jim go through a pregnancy and the newborn phase of life is straight up comedy. I also dare you to not find yourself nodding along and identifying with some of Pam’s reactions and feelings. There are so many out there and you can’t really go wrong. The idea is to find one that has the items you want, makes them easily accessible for people to buy, and maybe has some goodies for you – such as a welcome gift and/or coupons to buy what is left when your shower is over. Someday I’d like to write some of my own posts on this, but until then, the gold standard here is really Mint Arrow for both. I used her list when packing my hospital bag and it was amazing. BABY REGISTRY: She actually just updated her baby registry since the birth of her 3rd, so it’s better than ever. Find it here. Enjoy! HOSPITAL BAG: Don’t forget to plan ahead for your hospital bag. You really don’t know when baby will come! Some of these are Amazon purchases, so give yourself time for it to ship. Find her hospital bag list here. OR, you can order one of these incredible Luxury Labour Bags and check that off your to-do list. 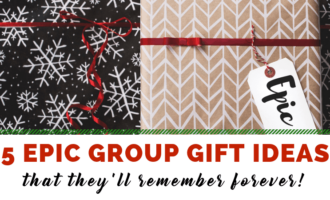 What an incredible gift for some friends to get for you, too! So, there you go! Tons of info to get you started! Regardless of how you ended up here, thanks for reading. Children truly are the greatest blessing and I wish you all the best on your journey. But, if you found this post another way, and you are struggling to conceive or have suffered losses, I understand your pain. I’ve been where you are. I hope to share more about our journey to grow our family. Just know that you are not alone, there may be doctors who can help, and however you create your family – it will be beautiful and uniquely yours. I’d love to hear your favorites for pregnancy and postparum – or if you want to share about your personal journey, you can do that, too. 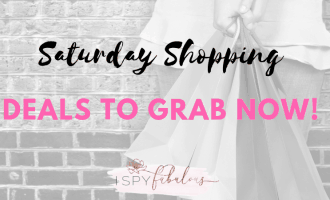 « Saturday Shopping: Great Deals to Grab Now! Get Rid of Diaper Rash Fast: With This Organic, Natural Diaper Cream! How I Used Magnolia Home Wallpaper to Create My Dream Baby Nursery!